Located on the outskirts of St. Cloud and just a short distance from Kissimmee and Orlando this great neighborhood has beaten the competitors to a prime piece of property. The St. Cloud area has seen a massive expansion for its small population of the last decade. This is primarily attributed to the recent industrialization in the neighboring areas. Something the great area has continued to hold onto is its small town feel and (despite the recent growth) small population and quiet streets. However the area has also seen a wide variety of communities open up to accompany the new residents, however Fells Cove has been around for awhile, and you can rest assured that these homes are filled. 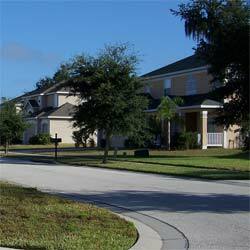 If your visiting the Central Florida area and looking for a vacation home or a place to live it can be a tedious task to put all the information together, however with our help you can get all the information you need, let us show you why Fells Cove is a viable place to make a permanent residence. 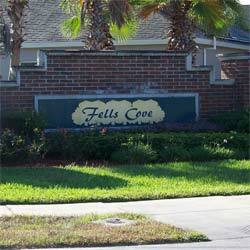 Fells Cove is located on Boggy Creek Road, following this road you have access to Orlando International Airport, meaning if people are visiting you can easily pick them up from the airport. In the opposite direction Boggy Creek meets up with Narcoossee Road, which leads into the city of St. Cloud or towards Lake Nona. In both directions you are just a short distance from grocery stores and shopping centers, this is perfect for when you need household items. 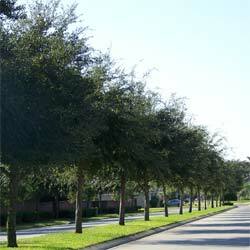 In the immediate area there is no large storefronts or lighted facilities, which makes the area quiet at night. If you already live in Central Florida or have been here before you know that the area is alive and active with tourism, something that started in 1965 when Walt Disney announced the open of his dream theme parks. St. Cloud is just outside the hustle and bustle of all the theme park action, but it’s not too far that the theme parks aren’t an option. Fells Cove is about a twenty to thirty minute drive to the Walt Disney World Resort Entrance. Inside the resort you can find Magic Kingdom, Hollywood Studios, Animal Kingdom and Epcot, as well as two water parks, the Typhoon Lagoon and Blizzard Beach. Nearby you can find Universal Studios and Islands of Adventure, joined together by the popular City Walk! Another set of great theme parks in the Central Florida area are the Sea World and Discovery Cover sister parks, located right next to each other. One of the great things about the Fells Cove community is that its back is actually to the Fells Cove Lake. With just a short walk through the tree line you can see the beautiful lake from your back yard. While the community doesn’t actually have boat access to the lake there are many places in the area. In fact a common entry point is located just down the road at the local “Fish Camp.” Here you can find several boat launches as well as airboat rides and tours. Over the past few years several new important places have been built over the years or are currently being built. One of these is the Narcoossee Community School; located just a few miles down the road from Fells Cove you can rest safely knowing your kids are just a short drive away. Just recently the construction of the Lake Nona High School was complete. It is every parents concern when their kids start driving to school, you can relax knowing your kids drive is only five minutes away! The third large structure that’s currently being built is a hospital. In the near future Lake Nona will be filled with doctors looking for homes near their place of work, so be sure to get a look at these great homes fast! 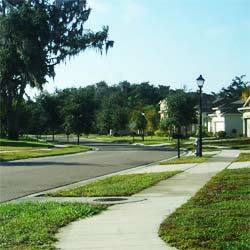 Inside Fells Cove you can find two lakes, one behind each entrance to the neighborhood. With a wide variety of waterfront properties these lakes offer a great opportunity for fishing and relaxing on the waters edge! Since these ponds are connected to the lake they have some of Central Florida’s record breaking fish just waiting to be caught! Many of the modern properties these days homes are located just feet from each other, when these properties were built that strategy was done away with! With large spacious yards and plenty of room for your children to play or you to landscape these houses leave nothing to waste! 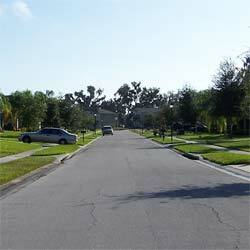 Fells Cove is a prestigious and impressive neighborhood in the Central Florida area. With a fantastic location and great homes it is easy to see why these properties fly off the mark fast!